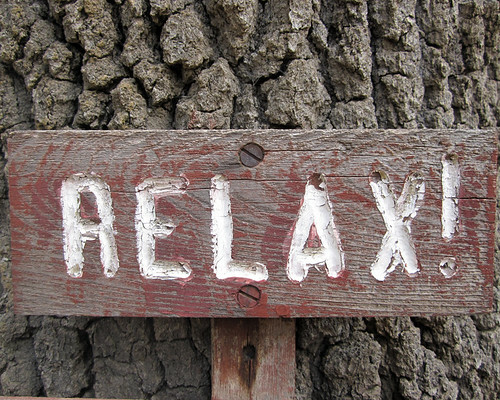 I’m not very good at relaxing. At least, not in the way that most other people do. I don’t really like sitting still. I can’t watch tv without doing something else at the same time. I hate board games like Monopoly because they take forever and are so irritatingly dull. Unless, of course, I’ve got a knitting project I can work on at the same time. I don’t play games, I watch movies rarely, and I feel guilty if I spend too long browsing the internet without actually doing something. For me, sewing is relaxing. Or working out. Or weeding the garden, or cooking, or taking care of my pets. I have to be doing something with my hands, moving around. It helps if there is an end product I can feel good about. A stuffed animal, sore muscles, dinner, etc. This is why I get really antsy at parties – people want to just stand around and drink and talk. I can only handle that for so long… let’s go do something! 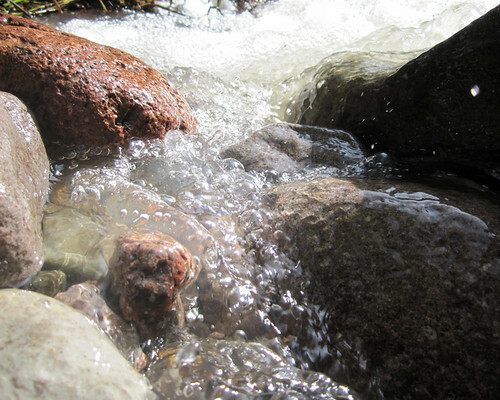 So anyway, here is some pretty water flowing through Cave Creek for those of you who are actually capable of sitting down and relaxing once in a while. Some people could sit and watch the water. I had to go poke around for bugs and collect rocks. One thing I miss about Arizona is the beautiful scenery. 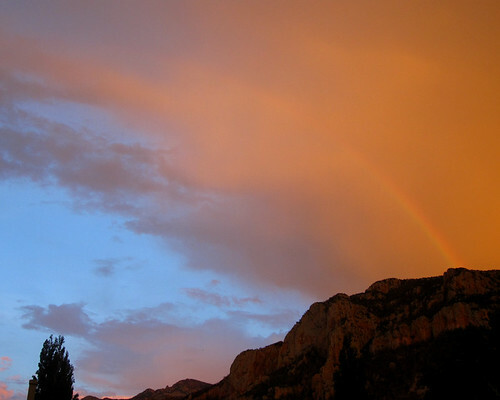 On this day we had lightning, rain, clouds, rainbows, sunny blue skies… all at once. 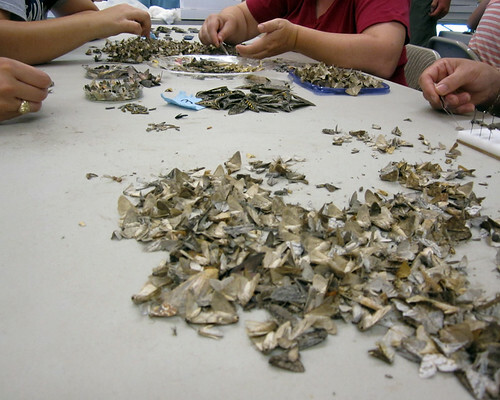 Remember how we had those giant piles of moths at the Lep Course when we were sorting? 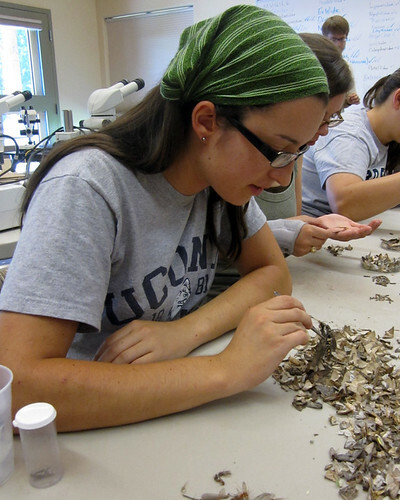 Well… not all of them were kept as specimens. There were plenty of leftover Matigramma moths, so I decided it was craft time. 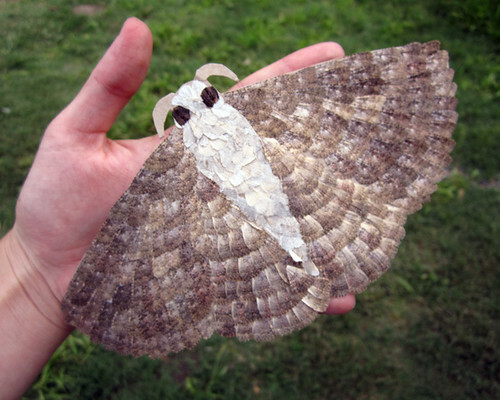 I carefully cut off their wings and glued them to a piece of cardboard I cut in the shape of a moth. 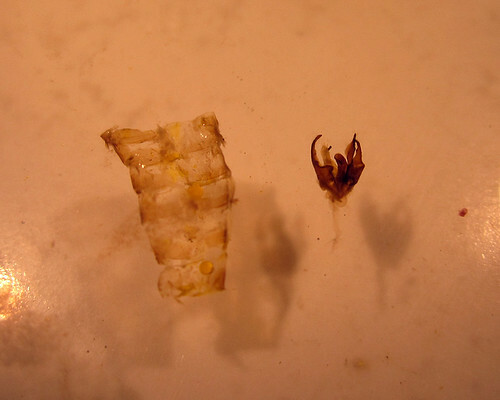 The wings are all from the Matigramma species, while the body was from the wings of a species of geometrid. 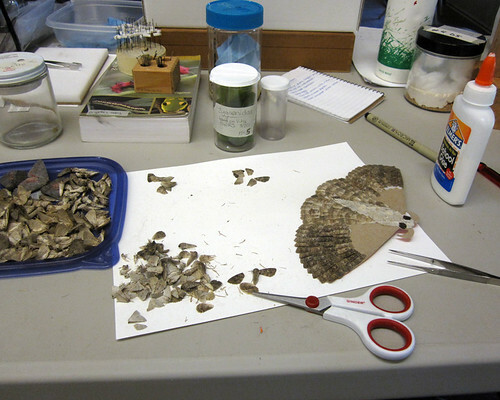 I have a few boxes of abandoned specimens in my office from various sources… if I have time I might try some more moth wing crafting. 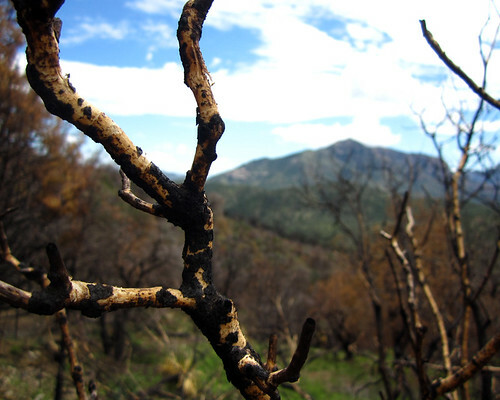 As we hiked higher into the mountains, we were able to grasp just how far the fires had spread in Arizona. There was a patchy burn pattern over the hills and mountains, extending in all directions. I wonder what sort of succession will emerge as a result? In a year or two I bet biodiversity will explode. Wildlife was rather sparse this summer because of the fires, but I hope to visit again next year to see how the recovery goes. Mermelontidae, from Arizona. I’m having a heck of a time trying to identify this guy… any ideas? 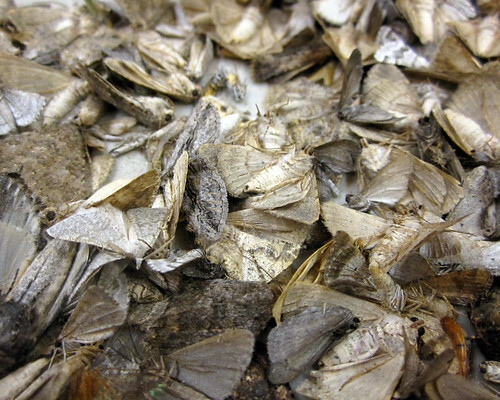 Of moths, not people, don’t worry. 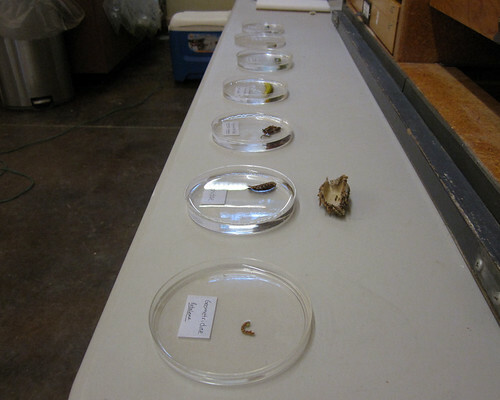 Dissecting genitalia is one of the skills I learned at the Lep Course in Arizona. One afternoon spent poking at the naughty bits of moths is not enough to become an expert, but I’ll get plenty more practice for my own research. 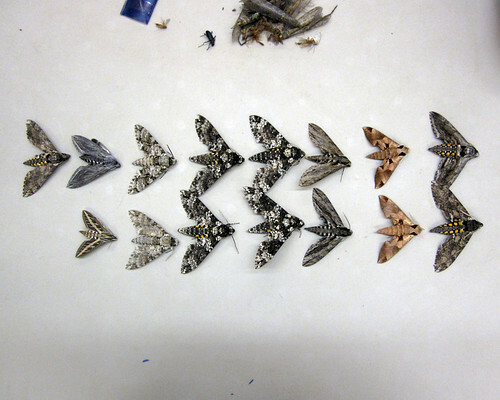 We used average-sized moths, in the genus Matigramma (family Noctuidae). I’m glad they didn’t have us start on microleps! We had to identify which species we each had by examining the male genitalia. Drawings were offered for comparison (yes, that’s beer at my station, it was in the afternoon!). Though its morphology did not match up perfectly (there can be some natural variation), I determined the best fit was Matigramma emmilta. 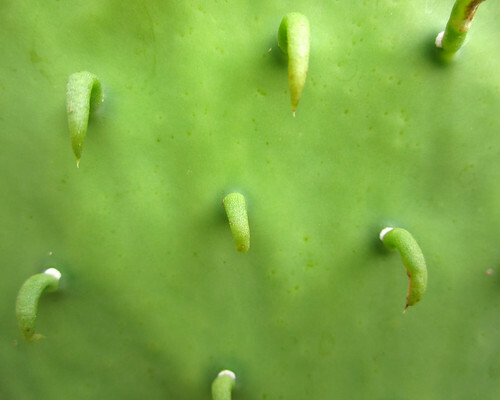 If we had to preserve the genitalia, the next step would have been to create a slide. That takes much more time and skill, something I hope to learn soon. 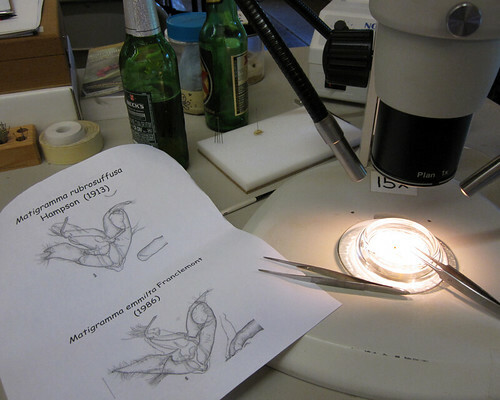 I will be doing genitalic dissections for the moths in my group, perhaps they will help sort out some confusing species complexes (or add to the confusion). 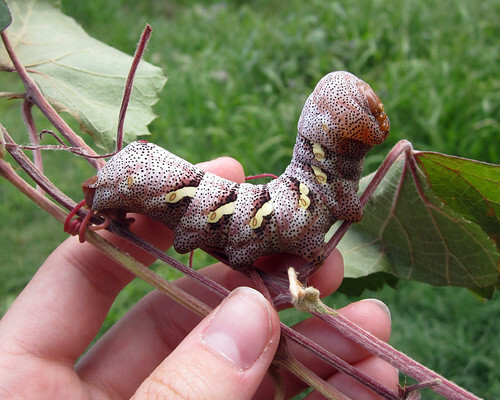 What do you do with caterpillars, anyway? Boil them and throw them in alcohol. 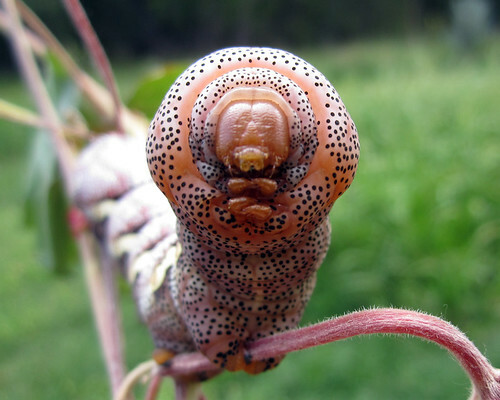 I plan to write a few posts about raising and preserving caterpillars soon. 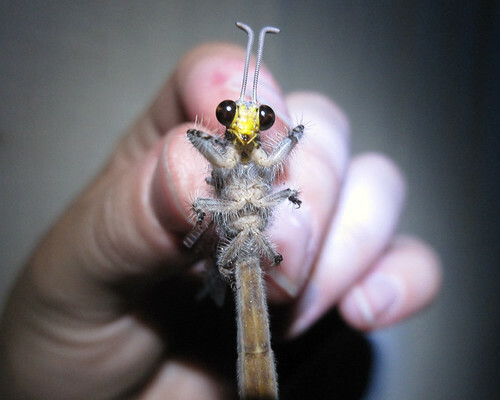 I also have some really great “bad hair day” shots of my fuzzier caterpillars. Stay tuned!